Posted Friday, February 17th, 2012 by Robyn Warner. 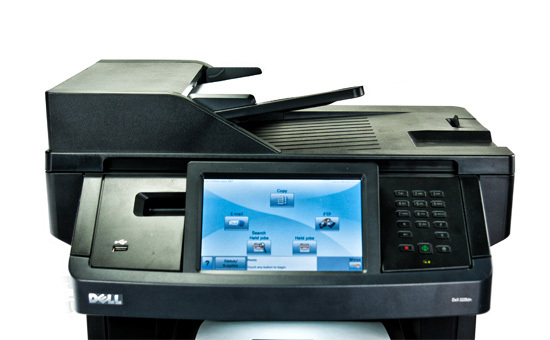 In most offices, small or large, it is common to find an all-in-one or multifunction machine. Not only do they take up less space, they also increase productivity by performing a variety of tasks. Some are limited to printing and copying, while others include a scanning and fax function. While there are many benefits of flatbed scanners, they can be tedious, as they require the user to load each page individually when scanning, copying, or faxing. Models with an automatic document feeder , however, are much more efficient. An automatic document feeder (ADF) is designed to quickly and automatically feed documents one by one through the machine to be scanned. This allows multi-page documents to be processed without human interference. A user simply loads multiple pages into the feeder, facing the proper direction, then presses the button to begin the task, and the machine begins feeding the pages through one at a time, outputting them to another tray. But what about two-sided documents? Duplexing automatic document feeders can handle these documents as well. There are generally two types of duplexing feeders. The first is a reversing automatic document feeder (RADF) and the second is a duplexing automatic document feeder (DADF). A reversing feeder scans one side of the page, then flips the sheet and scans the other side, before moving on to the next page. This takes more time, but is often less expensive to implement. A duplexing feeder can scan both sides of a page at the same time, and is much quicker. With either method, you should expect that the task will take a bit longer than scanning single-sided documents. When it comes to comparing the automatic document feeder between devices, the primary things to look for are its capacity and speed. The capacity is the number of pages the feeder can hold at one time. If you frequently scan documents that are 45 pages long, a feeder with a capacity of only 35 pages will require you to split these into two jobs, for example. A feeder with a capacity of 50 pages can handle it in one pass, on the other hand. The speed of an ADF is generally rated in pages per minute (ppm) or images per minute (ipm). This gives an estimate of the maximum speed in which the feeder can process pages. Duplexing models often make a distinction between single-sided and double-sided speeds as well.